The little Faun under the volcano. When Mt. Vesuvius blew her top in 79 AD, ash rained down on the city of Pompeii for two days. The entire city was buried under 20 feet, encasing and preserving the many buildings and artwork of this fascinating port city for 1700 years. Archaeologically, this enabled the city to remain mostly untouched and encased in its original state. One of the most unusual finds was this small bronze faun. 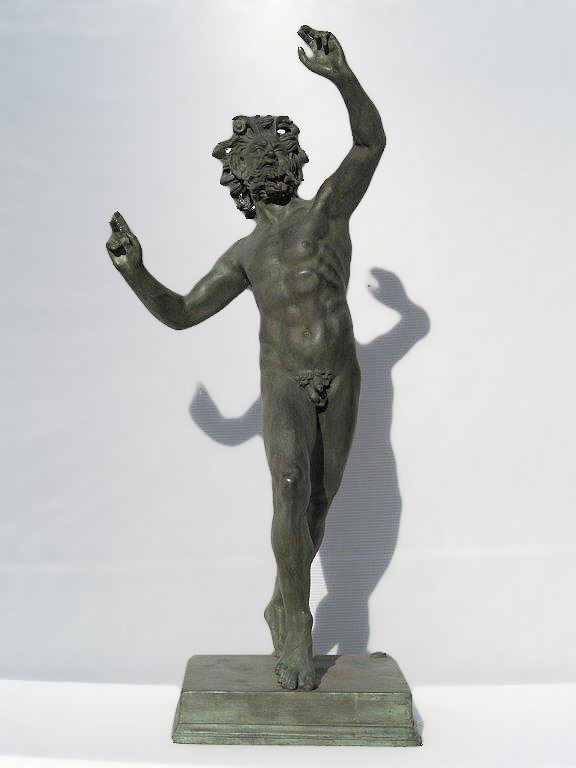 This faun appears to be dancing lightly on tiptoe, possibly as part of a Bacchic celebration or one of religious ecstasy. His movements and form are strong and sure, his eyes fixed directly upward. I was drawn to the realistic twisting of the chest and shoulders and his controlled energy. He looks like he could awaken at any minute. 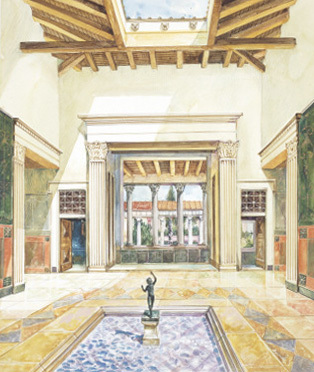 The fauns home was the largest and most opulent residence in Pompeii. It took up an entire city block and has been named “The House of the Faun,” after his charming self. He was the showpiece in the elaborate pool, standing as the focus of the grand courtyard. The artist is unknown, but this refined workmanship in bronze, with the muscular physic, has been traced to the Nile Delta, most likely Alexandria. Spirits of the untamed woodland, fauns were understood by the literate and Hellenized Romans to be connected to Pan and Greek satyrs, or possibly the wildflowers of Bacchus, the god of wine, theatre and revelry. They are mostly depicted in the pose of lilting gracefulness. Yet they are mischievous characters in Greek and Roman literature. 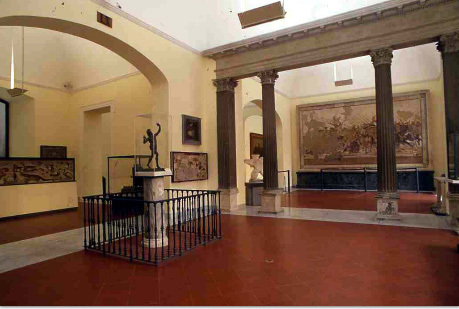 The National Archeological Museum is full of Roman and Greek antiquities, many from Pompeii and nearby Herculaneum. You will find several sculptures and mosaics, including one of Alexander the Great also found in the House of the Faun. Be prepared to spend a good part of the day as there is much to see. I found it very well displayed, organized and intriguing. 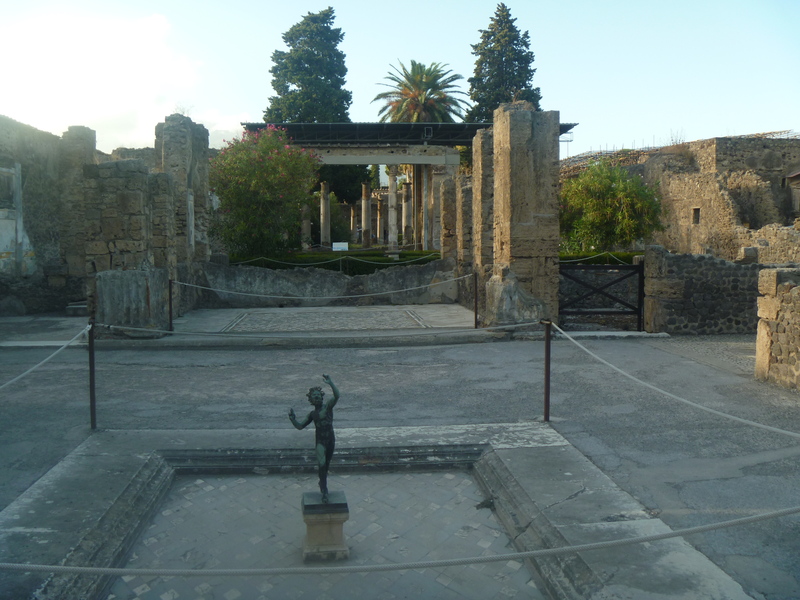 Most of the artifacts from Pompeii are housed here. Thank you for taking the time to read and like my post! I have also read your article about Pompeii….very well done. Great pics and coverage. Thanks. I liked your writing and now im following your blog as well.